Islamic State has confirmed that 'Jihadi John,' a British jihadist featured in many of the group’s execution videos, was killed in an airstrike in Syria. The latest issues of IS' magazine, Dabiq, confirmed that Abu Muharib Al-Muhajir, who "made headlines around the world as Jihadi John" had indeed been killed. His car was targeted in a "strike by an unmanned drone", which killed the terrorist "instantly." 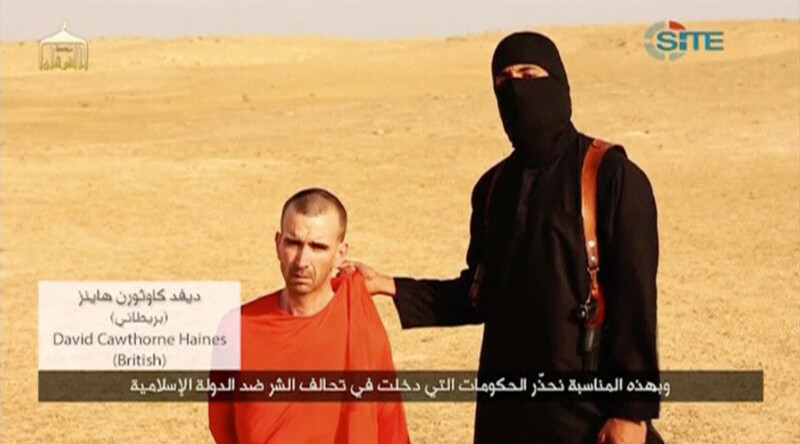 Jihadi John “finally achieved” what he has “sought for so long” on November 12, 2015, the pamphlet said. From August 2014, Jihadi John appeared in a series of graphic videos uploaded to YouTube, in which he beheaded his victims. The terrorist, whose real name was Mohammed Emwazi, was responsible for the brutal execution of two British aid workers, David Haines and Alan Henning, among other hostages. It is widely believed that Jihadi John was born in Kuwait, and arrived in the UK in 1993. He was the only Muslim student in his class at St. Mary Magdalene Church of England primary school in Maida Vale, West London. He regularly attended a mosque with his parents and five siblings, as well as embracing the British culture of his classmates, according to reports. He was alleged to have been killed in a drone strike in mid-November 2015 in the jihadist Syrian stronghold, Raqqua, shortly after the deadly Islamic State (IS, formerly ISIS/ISIL) terror attacks in Paris.